Trench maps are an important source of information regarding topography, defences and changes in the position of front-lines in the First Wold War. They are also, for those looking back at the war from the distance that 100 years brings, a stark representation of how close enemy forces were to each other. 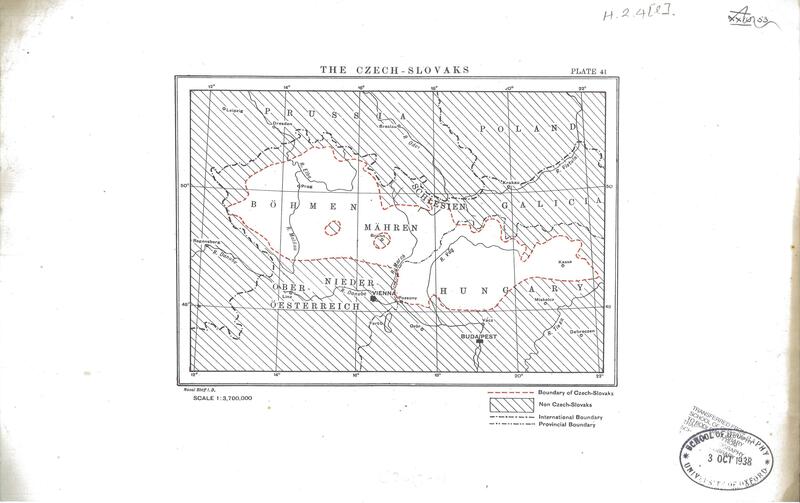 Detailed maps such as the one shown here reveal a no-mans land often less than 100 metres across. 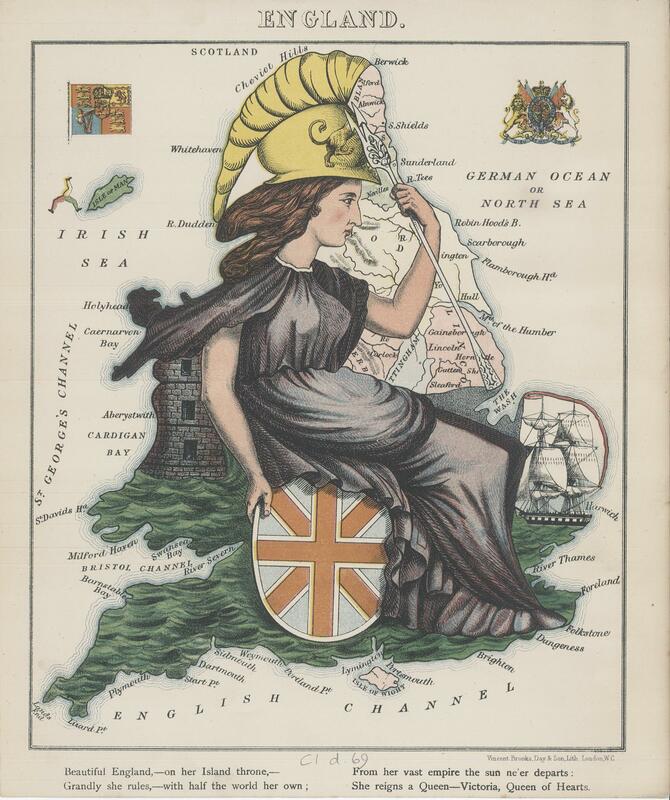 At first maps were based on existing French and Belgian pre-war sheets, but problems with marrying up scales and grids used on these sheets meant that by late 1914 the War Office and the Ordnance Survey took over production of trench maps, and from then until the end of the war a large number of sheets of different scales and designs were published to meet the varying demands of the British Army. The development of trench warfare in late 1914 meant a fairly static front-line position. 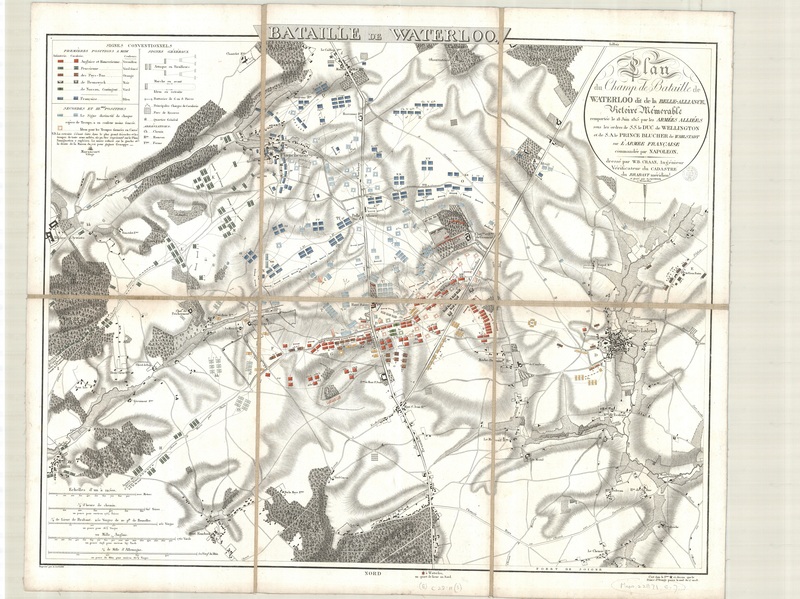 This, along with increasing importance in the use of artillery, led to both a need for accurate mapping of enemy positions and the time in which to produce the maps. Trenches that did not move and positions that stayed stable for months at a time meant that surveying, mainly by aerial observation and photography, produced maps that were often available before any changes in territory held made them obsolete, though this was not always the case during the major offensives launched later in the war. 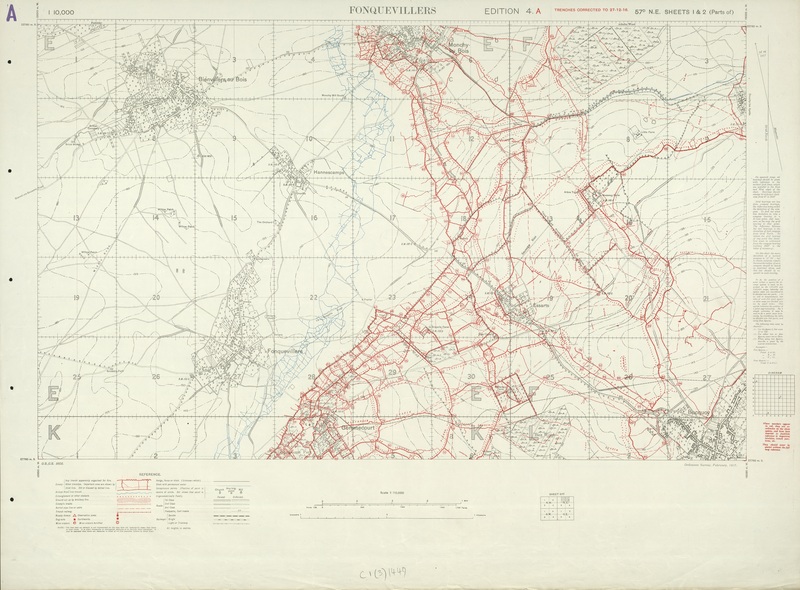 For instance, a map produced by the War Office for the Passchendaele area went through 9 different editions during the 3rd Battle of Ypres between July and December 1917. 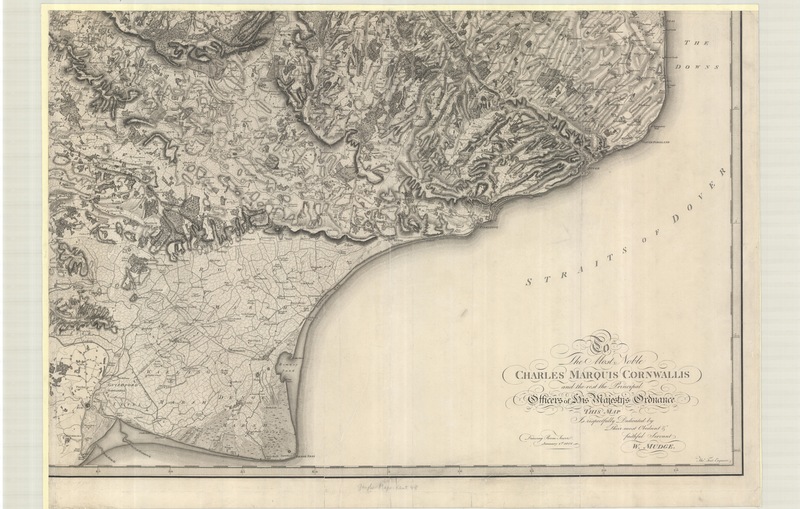 The map featured here, sheet 57D N.E. parts 1 & 2, is one sheet in a large series covering the Western Front in great detail, at a scale of 1:10,000. 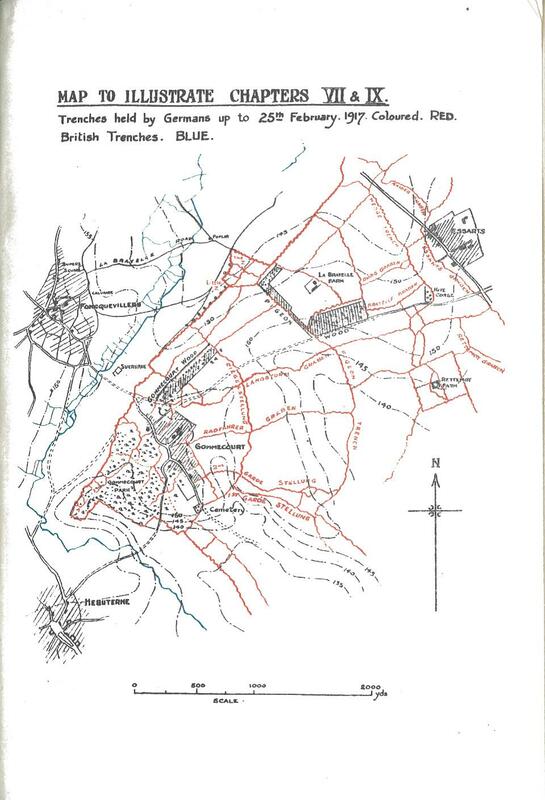 For security reasons only the front-lines of the British trenches are shown while the full scale of the German trenches are clearly defined in red. Grid numbers and then numbers in circles at junctions and angles of enemy trenches are for artillery purposes. Forty-one members of staff left the Bodleian Library to take part in the war. Up until the start of 1917 all were safe but by the appearance of the first issue of the Bodleian Quarterly Review for 1917 this was no longer the case. ‘The immunity of the members of staff on military service from serious injury has been sadly broken by the death of Lieut. R.A. Abrams…who fell while gallantly discharging his duty on the Western Front on March 4 last, aged 28’. Abrams and a fellow solider were reconnoitring near La Brayelle Farm, in between Gommecourt and Essarts on the map, when both were killed by enemy fire. 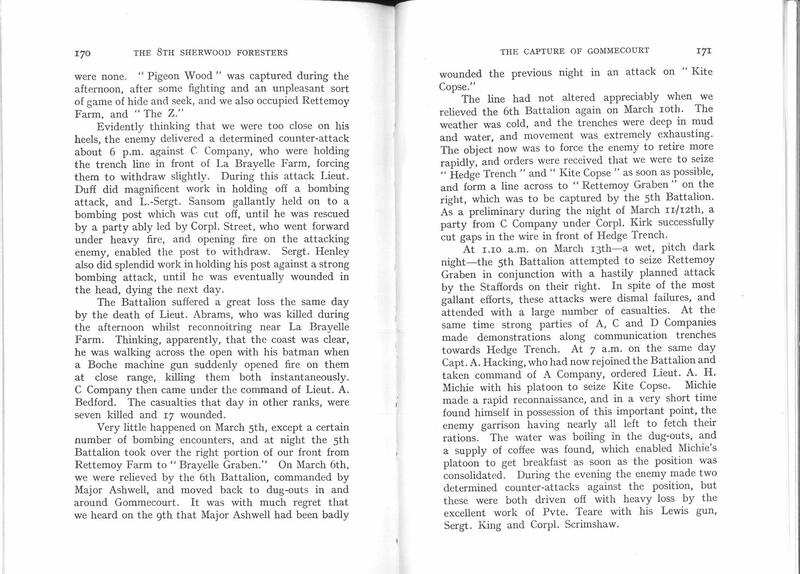 Abrams death in action was followed later that year by a second Bodleian employee, Lieut. H.J. Dunn, also 28, on November the 26th. 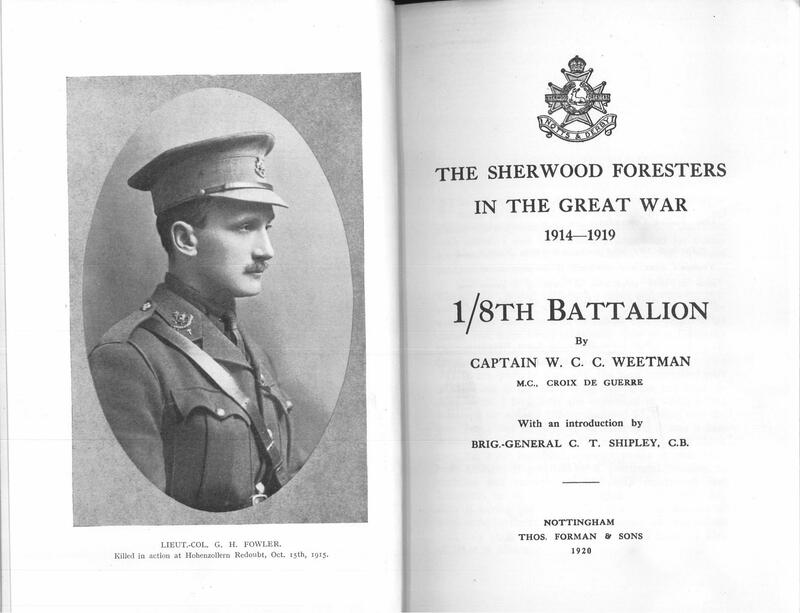 Title page from ‘The Sherwood Foresters in the Great War…’, 1920. 22281 e.1305. to accompany the text. The above plan shows the area in the Trench map shown earlier and is also mentioned in the previous page in the book with reference to the death of Lieut. Abrams. 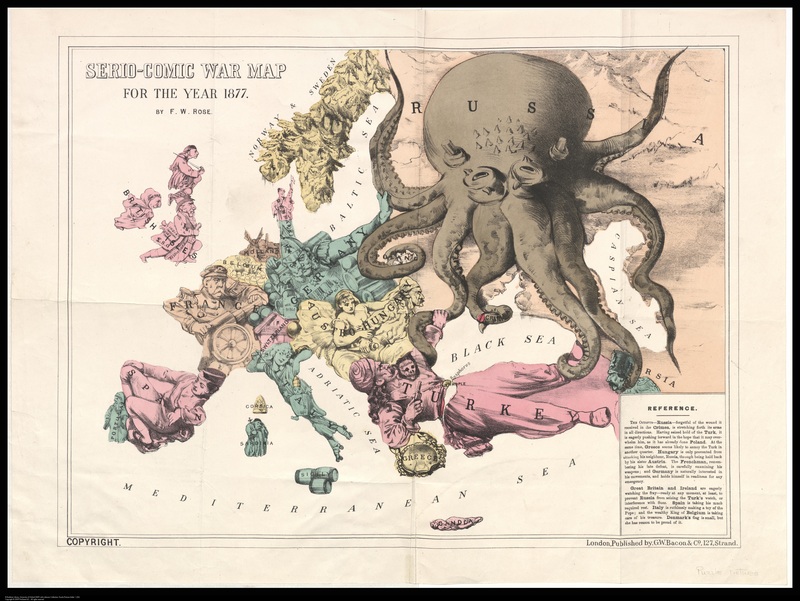 As well as British produced maps the Bodleian holds maps by the French and German armies of the Western Front and Allied and Turkish trench maps from the Gallipoli campaign in 1916. This entry was posted in Uncategorized on 24 June 2015 by stuart. This June marks the 200th anniversary of the battle of Waterloo, fought between the 15th to 18th of June 1815. 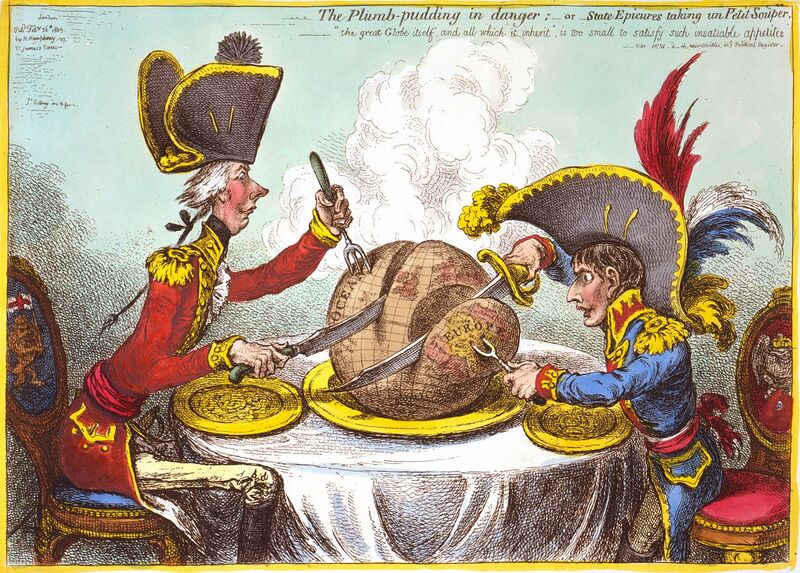 With the defeat of Napeleon by a combined army led by the Duke of Wellington peace was finally restored to Europe after 10 years of fighting following the French Revolution in 1792. 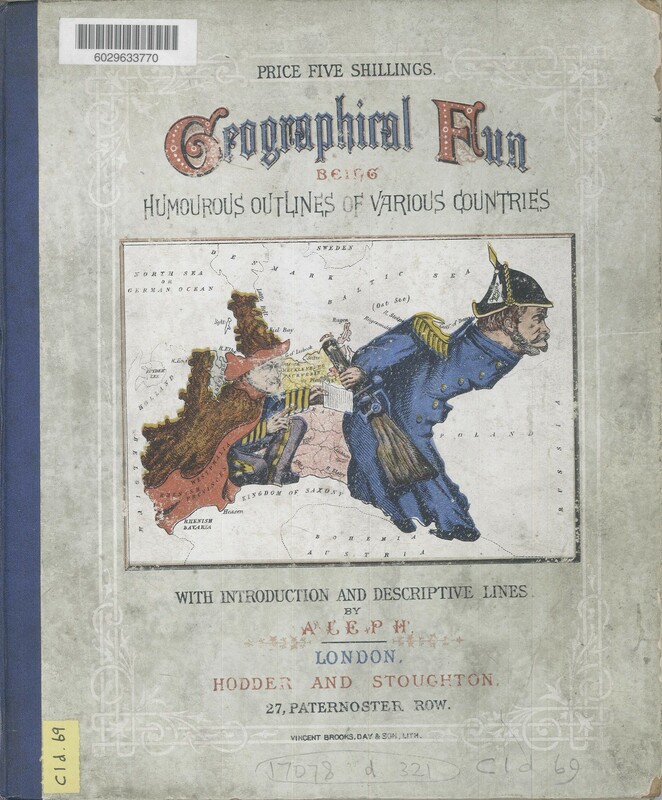 Waterloo has been mapped a number of times since 1815, the Bodleian shows here just two from a number in the map collection, one English and one in French. Both are laid out in a standard cartographic way of depicting armies and formations by using blocks to represent troop positions (coloured depending on Allied or French), topograhy is presented by using hachures to show hills and slopes and the key places are mentioned. The main difference between the two maps is that the french map, published in Belgium a year after the battle, is of the day and hence has to show troop movements throughout the day, indicated here by broken lines and directional arrows. The later English map, concentrating as it does on a particular and crucial point of the battlet, is less cluttered and easier to follow. 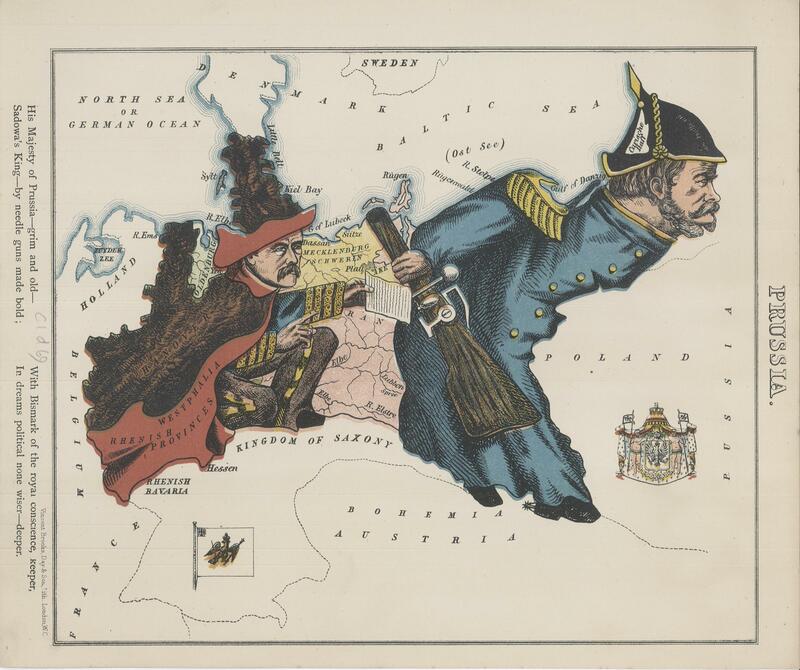 Both maps come with accompanying text. 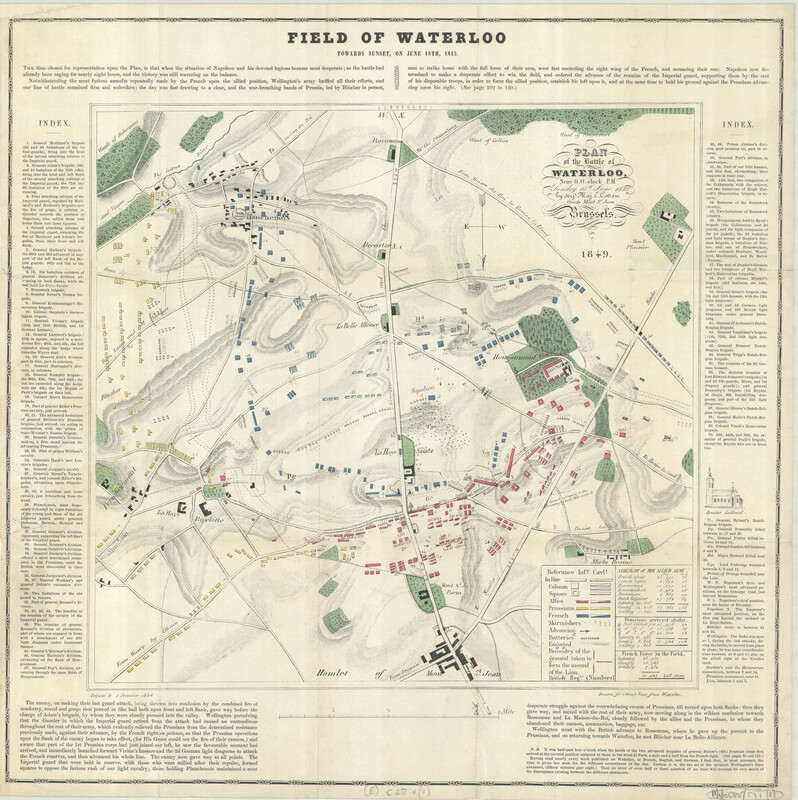 Waterloo and the wars fought by Napeleon and the French since 1792 feature heavily in literature such as Vanity Fair and numerous works by Thomas Hardy and indirectly led to the production of the most successful and long-lived of maps, the Ordnance Survey 1” series. 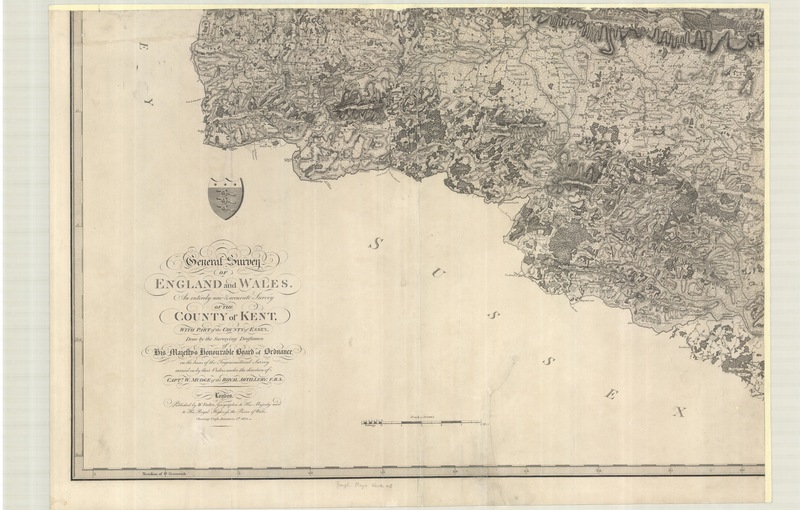 Originally published in 1801 as a set of four maps of the Kent coast made in preparation for the supposed French invasion of England the series continues to this day under the guise of the Landranger series. This entry was posted in Uncategorized on 18 June 2015 by stuart. 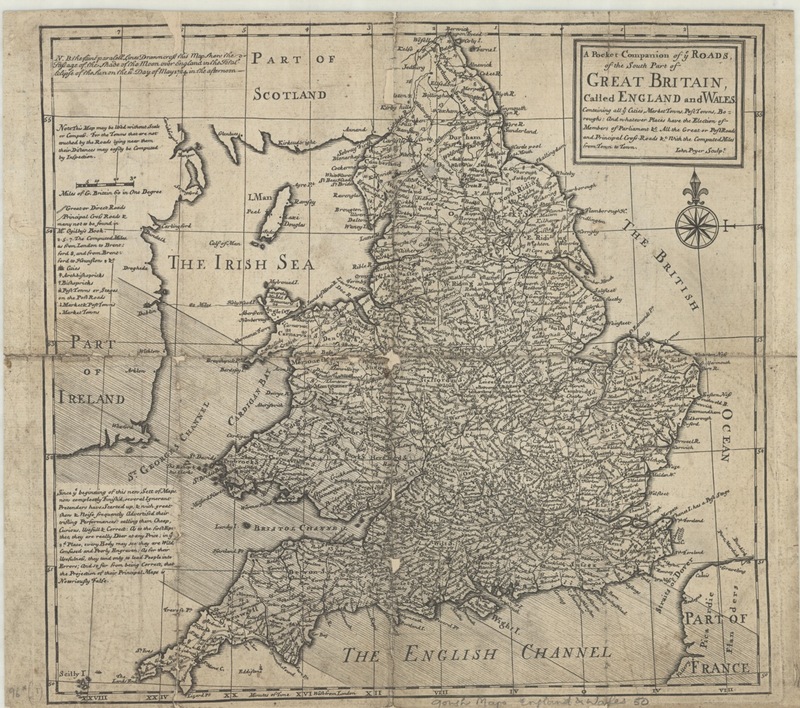 John Pryer’s map ‘A Pocket Companion of ye Roads of the South Part of Great Britain, called England and Wales…’ is not what it first appears. 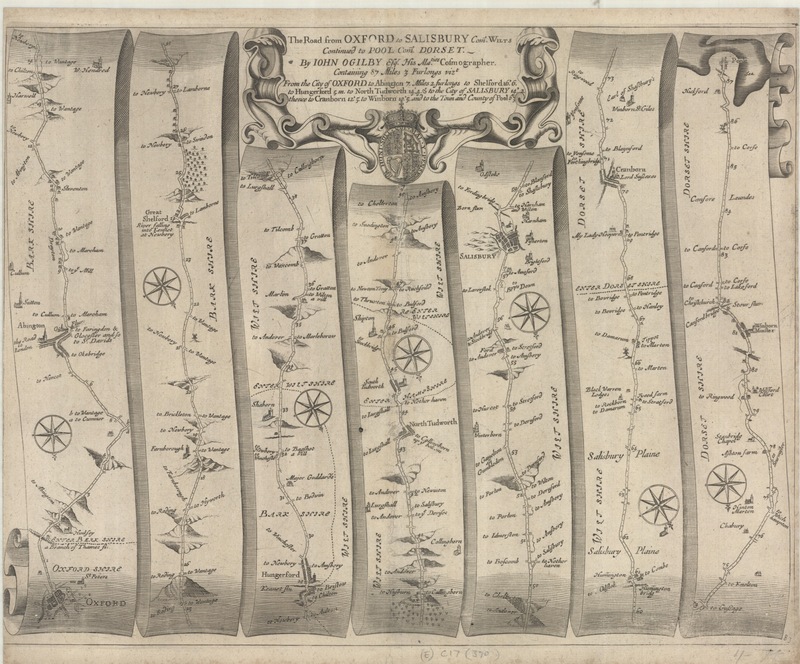 Originally printed in 1724 the map shows the road system of England and Wales giving distances between major towns and cities and is similar to a host of road and travelling maps published around the same time. Overprinted onto the original map is additional information tracking the path across the Southern parts of Ireland and England of a solar eclipse on the 11th of May, 1724. 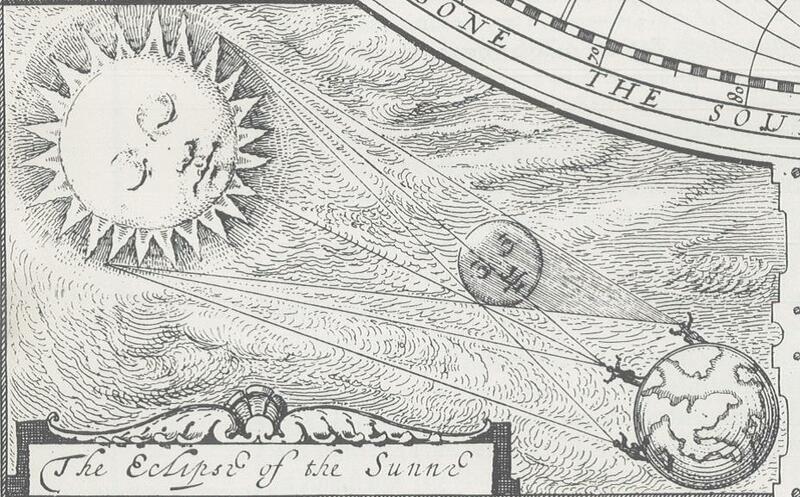 Given that the map dates from 1724 there is a chance that this map was published after the eclipse to show the route of the shadow of the Sun, not before. Either way this is the earliest sheet map held in the Bodleian to show the path of an eclipse of the Sun. ‘Since ye beginning of this new sett of maps now completely finish’d, several ignorant pretenders have started up & with great shew & noise frequently advertised their trifling performances: calling them cheap, curious, useful & correct: as to the first epithet, they are really dear at any price; in ye 2d. 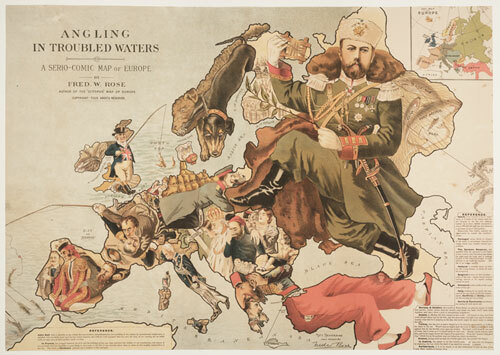 place , everybody may see they are wild, confused and poorly engraven; as for their usefulness, they tend only to lead people into errors; and so far from being correct, that the projection of their principal maps is notoriously false’. 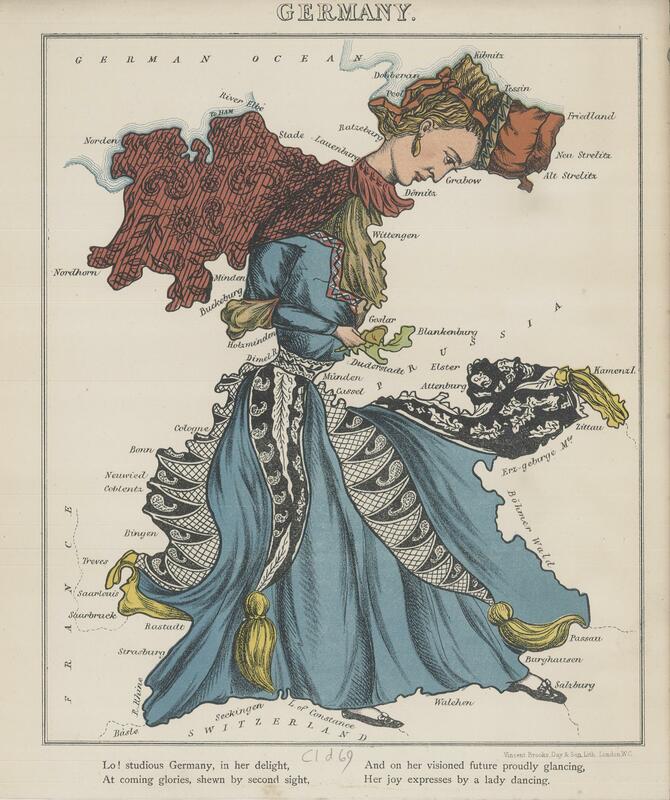 It is not recorded whether Pryer is one of Moll’s ‘Ignorant pretenders’, though the lack of any mention of Moll and his map makes it likely that Pryer used Moll without authority. It does bring into question though why he would include the diatribe against unscrupulous publishers and cartographers if he was one himself. 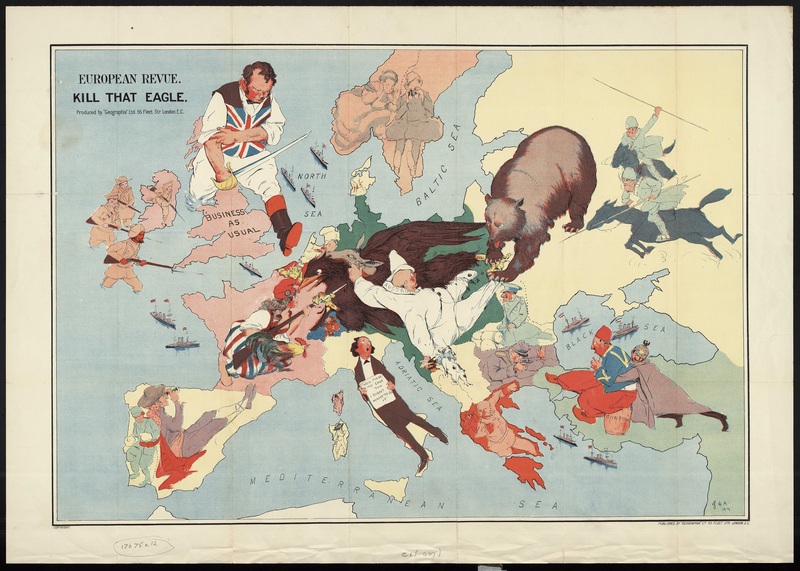 This seems a harsh dig at what was, for it’s time, a revolutionary way of showing main post routes and the level of detail involved was far greater than that of other maps of the time, including Moll. Ogilby’s innovative design included mile indicators, side routes and hills (including showing the direction of slope) and was soon taken up by other cartographers in both this country and abroad. The Eighteenth Century saw an increase in both the publication and quality of maps such as Pryer’s as the growth in both astronomy and scientific knowledge advanced, and with it the ability to predict and plot each eclipse. Previously eclipses were reduced to diagrams in the corners of world maps, such as the example here from John Speed’s ‘Prospect of the World’ atlas for 1627. This entry was posted in Uncategorized on 11 June 2015 by stuart. 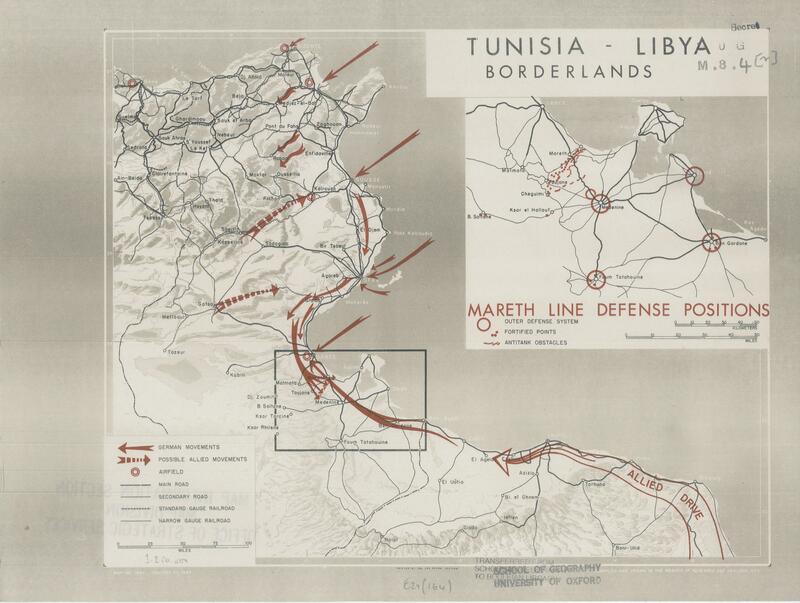 Tunisia – Libya borderlands, 1943. Produced by Office of Strategic Services, US Army. Map shows German and Allied troop movements with an inset of the Mareth line defences. This entry was posted in Uncategorized on 1 June 2015 by stuart.